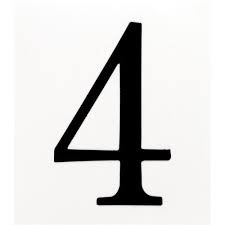 If the sum of the letters of your name comes to 4 then it means that you have a name number 4. Due to the influence of planet Rahu these people see everything from the negative point of view. They are not quarrelsome but with their actions they make others as their opposition. These people are hard-work alot and earn alot as well. Number 4 people are Unknowable so it's very difficult to understand them. They are always curious to know everything around. They don't give out what's going on inside them easily to others. As per numerology these people at times become greedy. Becoming a miser could be a problem for them. They should avoid being very angry as by doing so people tend to stay away from them.